Today’s tasting note brings you something a bit different. Red wine aged in American oak barrels first used to age bourbon. This is only our second taste of wine aged this way, but I have noticed more wineries using this aging technique. I wonder if it will be a passing fad or if it will catch on. We received this wine as a tasting sample. I make it a practice to look at the production notes on a wine only after I’ve tasted it and made my tasting notes. A winemaker gave me that advice and I think it is sound. It is important to remain as objective as possible when doing something as subjective as describing flavors. It is difficult, though, not to notice that this wine is aged in bourbon barrels – it says so on the front label of the wine. Even if I hadn’t noticed that detail before tasting this wine, I would have deduced the aromas and flavors are not those I expect from a red blend. Both are significantly influenced by aging in bourbon barrels. 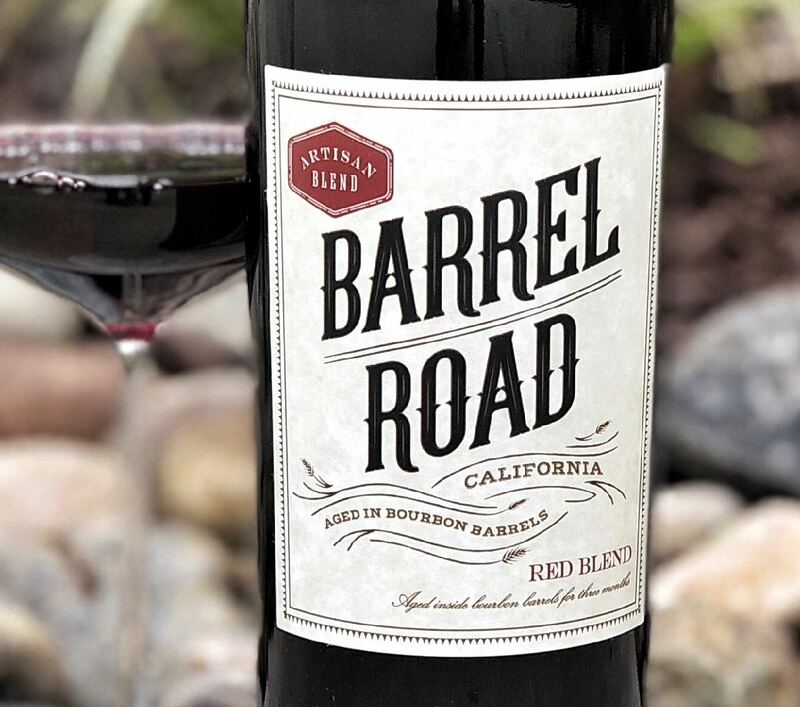 Barrel Road winemaking notes identify California’s Central Coast and interior winegrowing regions of Sonoma, Yolo and Lake Counties as the source of grapes used to make this wine. Beyond that, the grape varieties are not listed. The wine is aged for 3 months in American oak barrels first used to make Backbone Bourbon in Indiana. Blending after aging takes place to produce the desired flavor profile. Pair this wine with grilled meats basted with a sweet sauce. Ribs, chicken or tri-tip will do nicely. If you prefer a sweeter style of wine this wine will be right up your alley. I had this wine as well. Although I did not mind it, overall it is not my style. I think the whiskey barrel wine aging is a fun fad because people should always drink what they like but as a purist I prefer the characteristics of the grapes in low intervention wine making more.